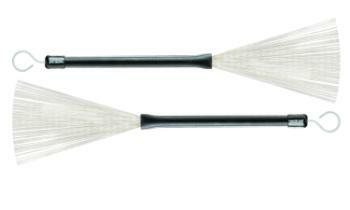 The ProMark TB3 telescopic brush was inspired by the original Gene Krupa jazz brush. It features a smooth rubber handle with great balance for fast response. ProMark "Alternative Sound Sources" offer a wide variety of alternatives to traditional drumsticks. Everything from brushes, to rods, to broomsticks. Achieve the sound you're looking for!